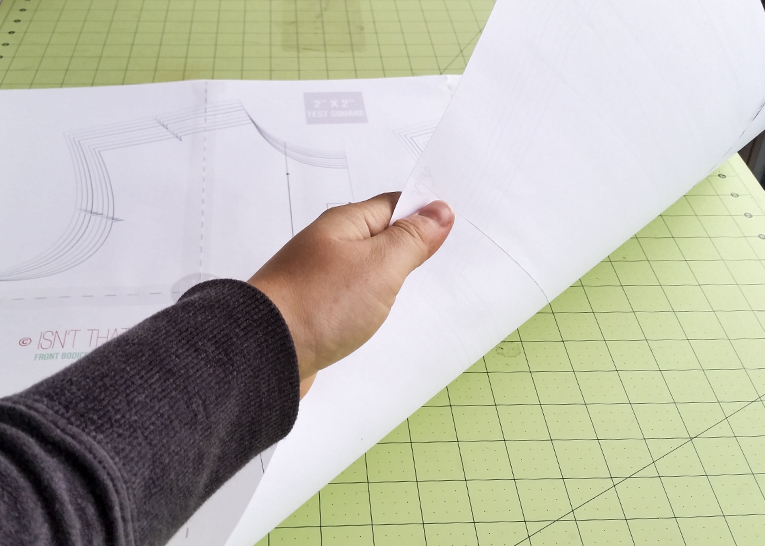 How to print and assemble a PDF Pattern. -Print PDF using Adobe Acrobat. Make sure that the scale is set to 100%. I recommend not printing the cover page. While it is super pretty, there is no need to waste colored ink. 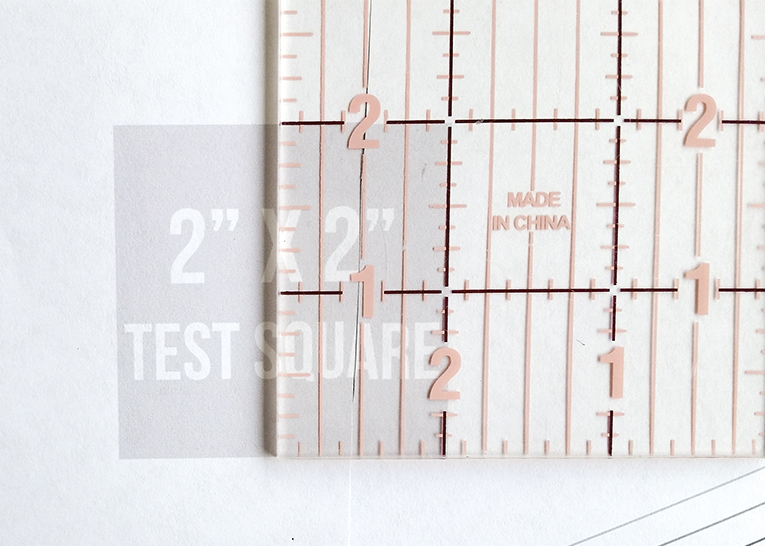 -First and foremost, measure the 2” x 2” test square to confirm that the file has printed to scale. If the box does not measure correctly, something has gone wrong. You’ll need to try again. 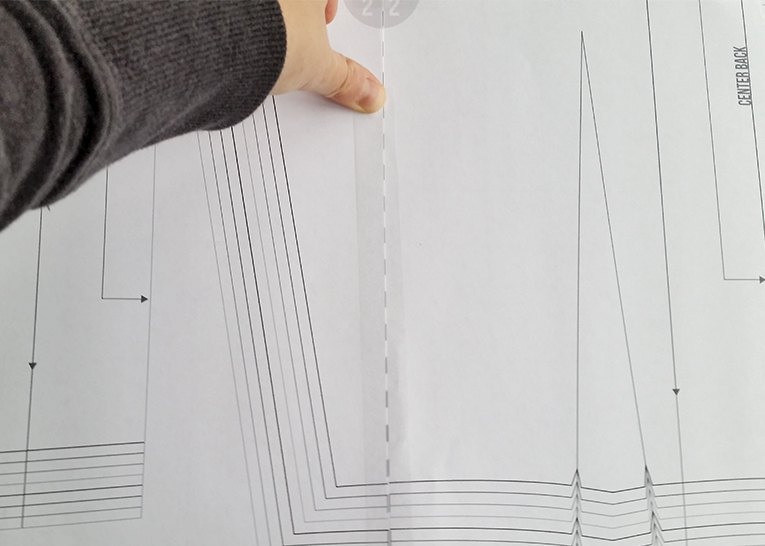 -Even printing the pattern at 100%, the printer will still leave a 1/8” margin. No worries, I have adjusted the file to still be to scale. 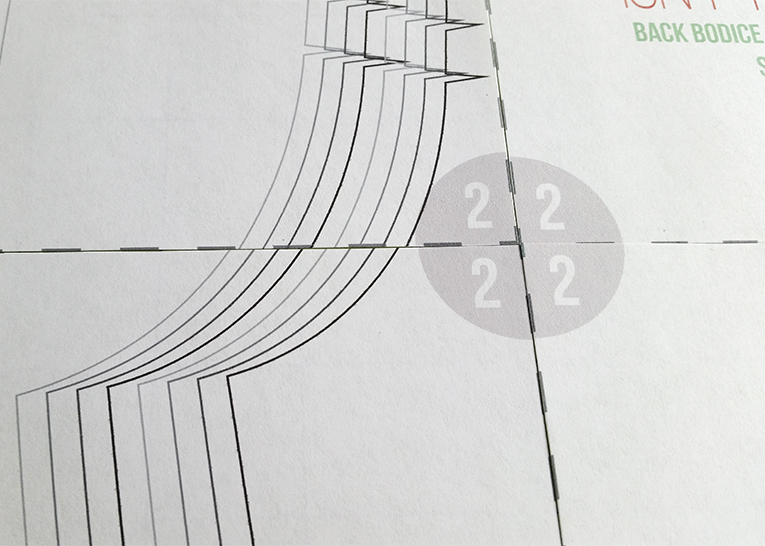 Simply trim along dotted lines to remove excess. 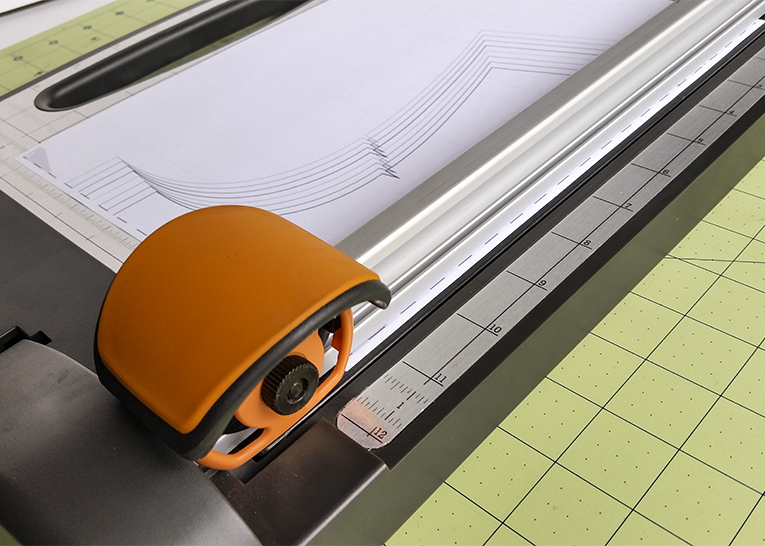 You can use a ruler and a rotary cutter, a paper cutter, or just plain ole’ scissors. 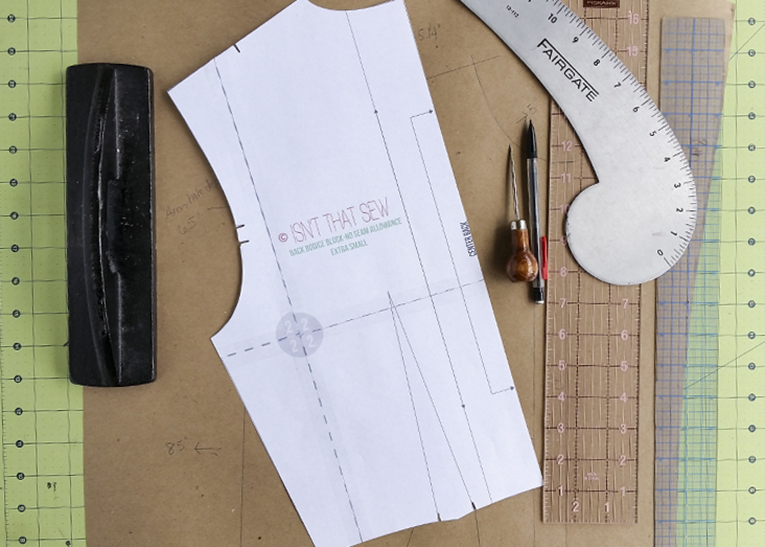 -Piece the pattern together making sure you have all the pages. Line up letters, numbers, and shapes until you see the complete pattern. -Begin taping the front. I like to “tack” the edges first to make sure things don’t move around to much. 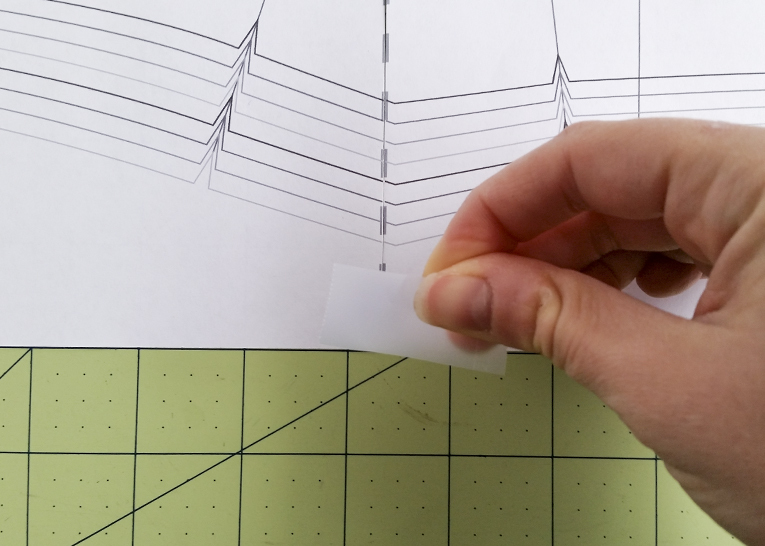 Then, begin taping the seams, making sure to get the tape to adhere nice and flat. If some of your lines do not match up perfectly, don’t panic!!! 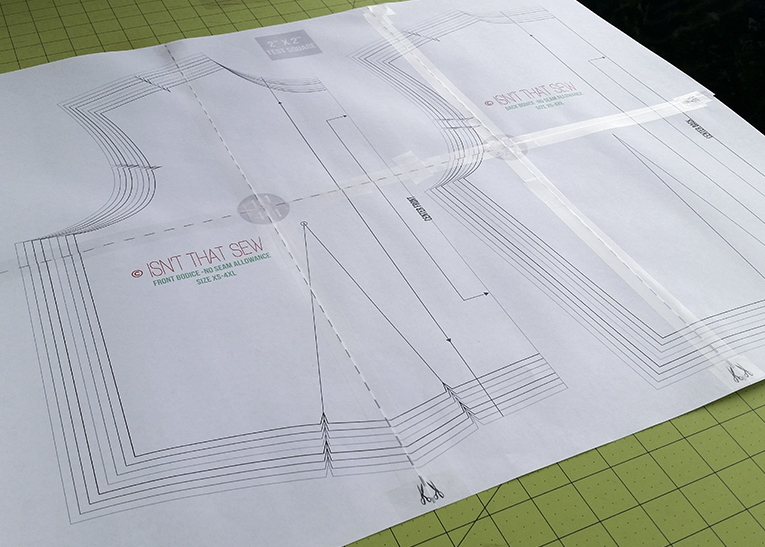 Continue taping the pattern together doing the best you can. The lines can be blended later. 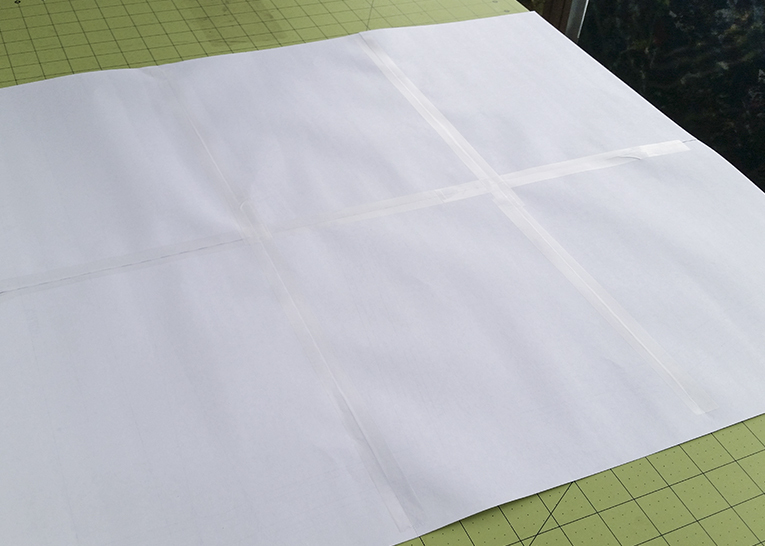 -Once you complete the front, flip the pattern over and tape the back side. 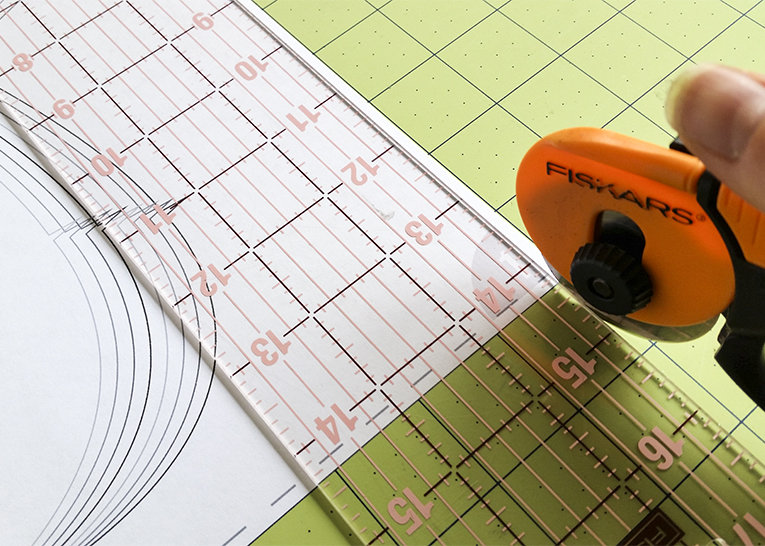 After assembling the pattern if some of the lines do not match up, use your pattern making rulers to blend and true lines. Remember, there is no seam allowance on these blocks so you’ll need to transfer the pattern to new paper, or trace it onto muslin and add seam allowance there. 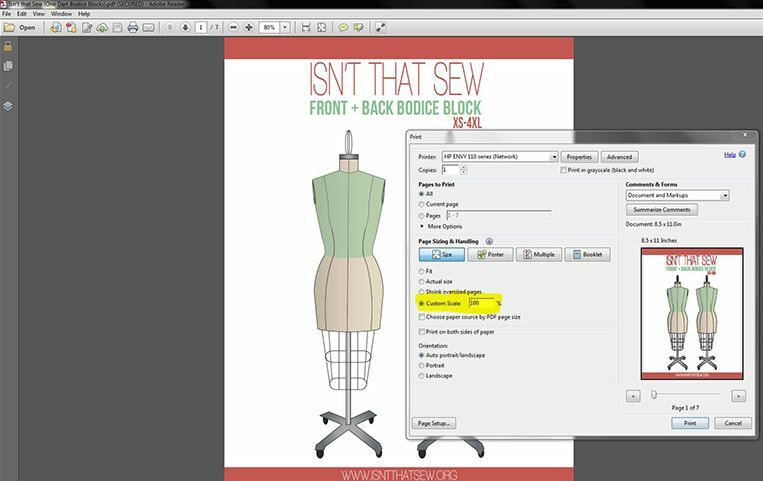 I highly recommend sewing a fit muslin to determine if the block needs any adjustments to be perfectly tailored to you!